Organic bamboo cylinder plug earrings with thick walls are beautiful jewelry for large stretched piercings. 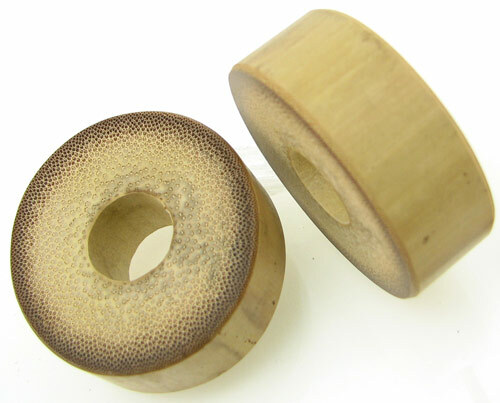 These bamboo plugs are made by hand in the U.S.A. from naturally occurring material, so no two pairs are exactly alike. Currently available in 1 inch up through 1-5/8 inch diameter. Other fractional inch sizes may be available, Contact Us for more information. 1-1/8 inch Diameter 1-1/4 inch Diameter 1-3/8 inch Diameter Select your size and click "Add to Cart".